No matter where you travel, it’s hard to find accommodation that perfect suits your family. Star ratings and photos only tell you so much. That’s why we like to dive into the details for you. It’s our pleasure, really. This family-friendly Mauritius hotel is one of our favourites. You’ll see why. All of Mauritius is beautiful, but it’s the eastern coast that dazzles the most. The water here sparkles an azure blue, the powdery white sand glimmers in the sun, even the palm trees seem to sway to the rhythm of paradise. 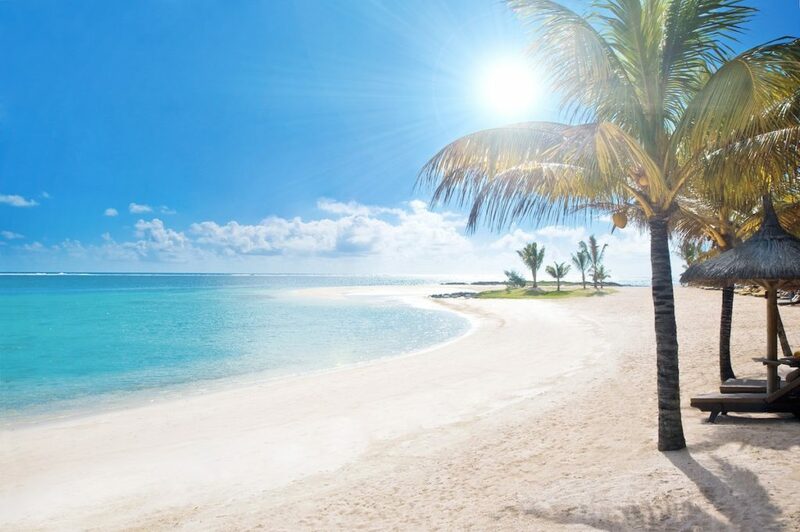 LUX* Belle Mare sits on of the best beaches in the world – as voted by CNN (and us here at Family Travel too). Sir Seewoosagur Ramgoolam International Airport is an hour’s drive away and buzzy village Centre de Flacq is nearby, easily accessible by bike. 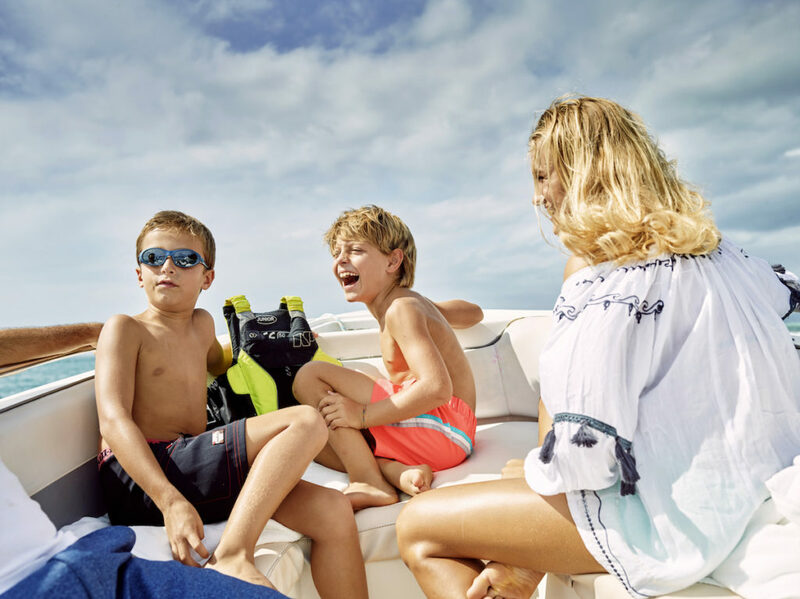 A stay at LUX* Belle Mare is a truly memorable family holiday, where everything is taken care of and all you have to do is relax and soak it up. 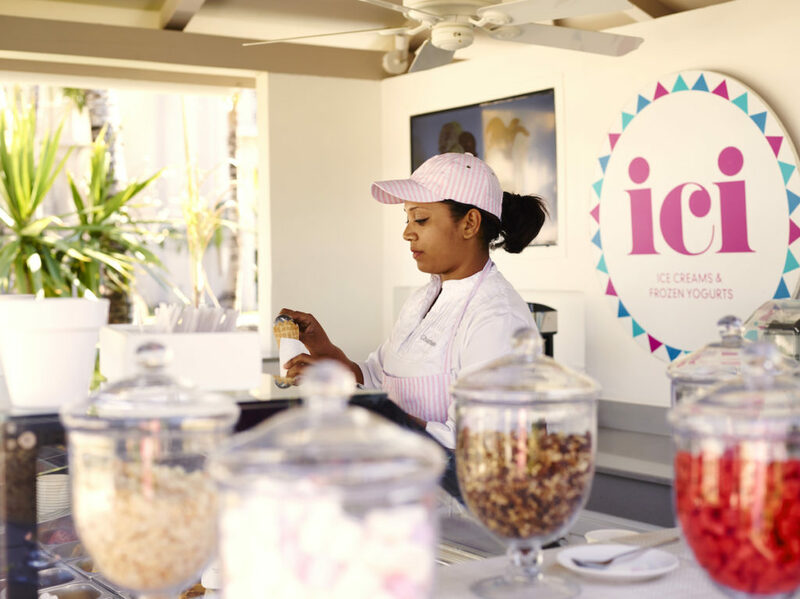 The attentive staff ensure your stay is perfect, which is why LUX* sees many repeat customers visit its portfolio of resorts across the world. These people bring the brand to life, and, for me, it’s that authentic interaction that really makes the experience stand out. Of course, the facilities are fantastic. The pretty beach right on the doorstep of the resort is a lovely place to while away a few hours. My daughter and I loved playing in the sand, going for strolls and splashing about in the calm lagoon – and ideal first beach for babies. Alternating water play time between the beach and the pool worked well for us. 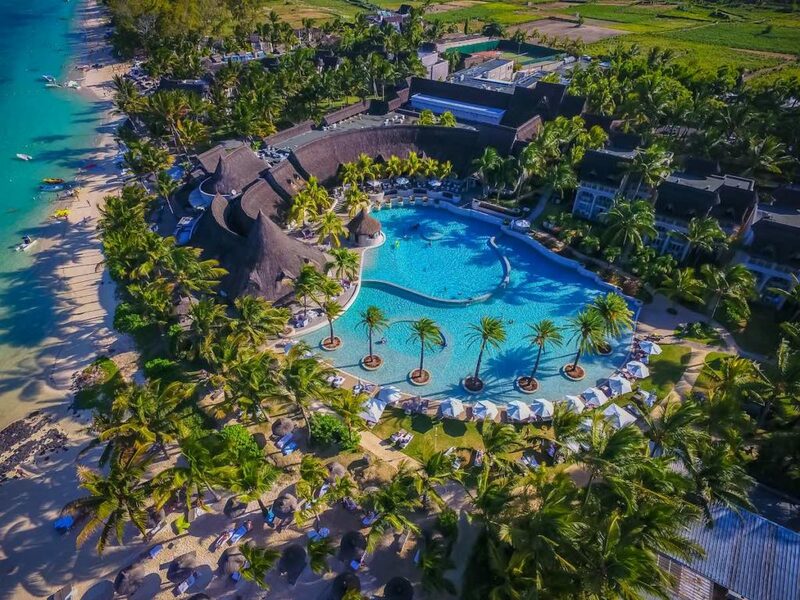 This fabulous Mauritius hotel is home to the largest pool on the island. It has various depth levels, making it ideal for kids of all ages. This meant I could swim around holding my daughter in the deeper bits and then let her crawl around in the shallow parts of the pool – she loved having the freedom to play in the water with me. The grounds of the resort are immaculately maintained and we established a daily routine of morning meanders through the tropical gardens. Life is slower and more beautiful with a little one, so we’d stop often to look at leaves and flowers. The gardens link rooms to public areas, which are all airy and fresh thanks to London-based designer Kelly Hoppen. 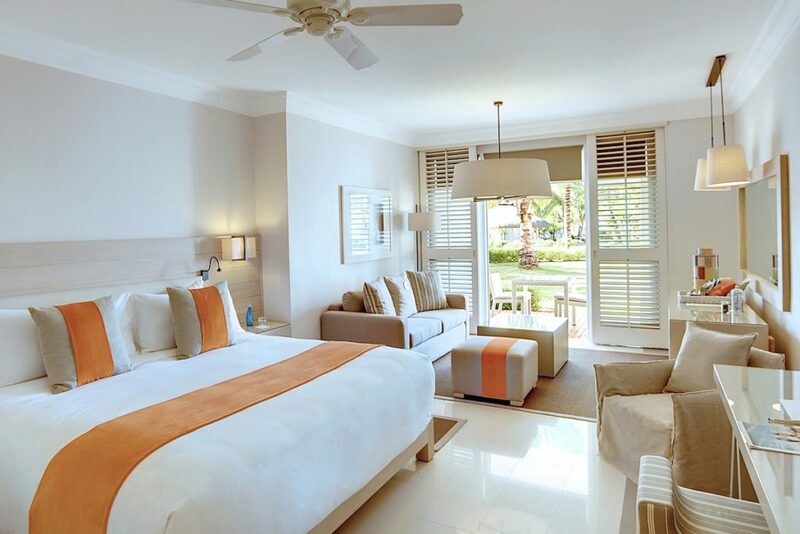 Rooms and suites have also been given the Kelly Hoppen treatment, with calm whites accentuated with pops of bright colours to capture that colourful Mauritian vibe. Although we spent most of our time outside or in the dining areas, coming back to the room was always a pleasant experience. It’s worth noting that the rooms – which span Family, Ocean and Romantic categories, to name a few – are simply pleasant spaces, and it’s how they are maintained that heightens the overall feel. The room-service staff were all exceptional, visiting twice daily to ensure everything was in tip-top shape. Ramasawmy, the housekeeping manager, was a delight, often helping me with my pram and visiting twice one night to shoo away some friendly geckos. There is so much to do at the resort. At Junk Art Gallery, guests can craft their own anything using recyclable materials (I watched a woman make herself a handbag). Next door, the photography studio is where you can learn how to take – and edit – the perfect holiday shot. There’s a family entertainment area here too, with a pool table, table tennis and tennis courts for active types. I was glad I’d packed my muumuus, as the food here is divine. I would start my day at Café LUX* for my morning coffee (LUX*’s own delicious island blend). Breakfast at MIXE is great; it’s a buffet, but not one of those huge set-ups where you have to queue up and pile up your plate to avoid going back again. There’s an egg station as well as plenty of hot dishes, a continental spread, Asian breakfast items and so on. There’s plenty of local produce, too – fresh fruits, local banana jam and numerous varieties of delicious Mauritania sugar. Lunchtime is a casually cool affair. 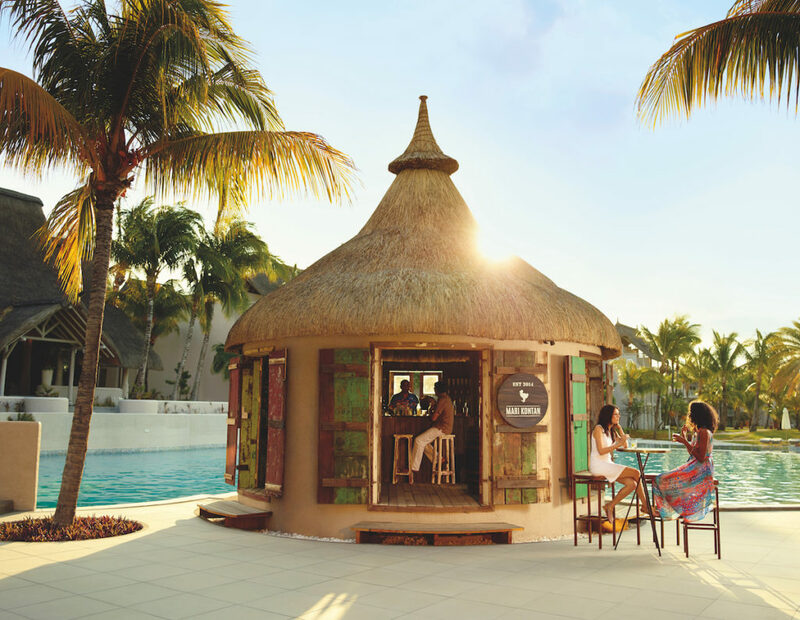 Sometimes I ordered pizza from the poolside menu, I enjoyed a Cuban-inspired meal at the Rolls Royce food truck, and Beach Rouge is ideal for a slightly fancier take on the daytime meal, evoking the laid-back vibe of the French Riviera. The restaurant sits right on the beach, the food is well presented and delicious, and chilled-out music elevates the experience. LUX* makes its own ice-cream and the retro ICI parlour is right by the pool, so this became an obligatory afternoon treat for me. Beach Rouge and MIXE also open for dinner, and both are great options for families. The menu at Beach Rouge is different at dinner, and every night at MIXE is an impressive international buffet with many live cooking stations and cuisine types. It’s worth sampling the gastronomy at Amari by Vineet (which welcomes guests aged 8 and above) and Duck Laundry too. I thoroughly enjoyed the contemporary Chinese cuisine at Duck Laundry, but the Indian Michelin-star chef’s fare was my favourite find. I love curries and enjoyed the modern take on some of the traditional dishes. K Bar is a great place to enjoy a cocktail or a craft beer, and Mari Kontan thatched rum bar is where you go for… rum, of course. Tea lovers can spend time in the Tea House tasting oriental teas, and intimate private meals on the beach or in the gardens can be booked for special occasions (or just because). LUX* Belle Mare offers all-inclusive, half-board and full-board packages. I recommend full-board (most meals and no alcohol) or all-inclusive for families. LUX* Belle Mare is an accessible hotel with excellent facilities for wheelchair users and less-mobile guests. The wheelchair-accessible rooms are located near the main reception area and have a grip rail in the en-suite and hand rail in the shower area. Public areas are also easily accessible for wheelchair users.